Hey everyone! April kicks of our second month of our “Featured Artist Series” on the blog! 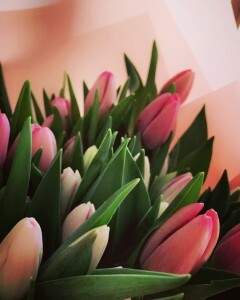 So who is our Featured Artist for the month of April? Well, if you have been to the store as of lately, you will have noticed that we have a few new pieces in store! These pieces are not like any other however… we have several stunning pieces from the absolutely wonderful Melissa Proudlock. So what exactly sets these pieces apart? The secret: Melissa paints every original with wine… yes, you read that correctly… WINE! From Baco Noir to Cabernet Sauvignon, Chardonnay to Rosé, the pigments from lees and natural sediments within each varietal and blend, as well as the wine itself, offers a wide range of colours, and the fine details Melissa creates develop stunning images. To learn more about Melissa’s work and see other pieces she has available, make sure to check out her website Painted With Wine and stop by the store to see which pieces we currently have available! Make sure to get your prints or original pieces before they are gone! As promised, we are kicking off our new blog series! If you have been by the store, you will know that we proudly display and sell automotive fine art by the incredibly talented artist Michael Irvine. 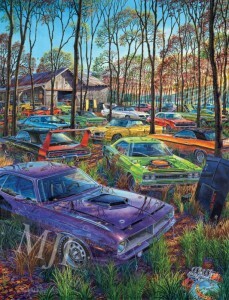 Choosing vintage and modern muscle and sports cars as the primary subjects in his diverse automotive fine art portfolio, you will find his art incredibly detailed, powerful, imaginative and creative. Michael is considered to be one of North America’s premier automotive artists, creating hand-drawn, hand-painted works that go well beyond the ordinary—taking you on a visual journey of discovery. Each of his unique, high impact watercolour paintings tells a story, bringing to life surreal scenes that come from Michael’s creative imagination. And yet, speak to us all … everyone has a ‘car story’! We carry most of Michael’s signed and limited edition print collection, and if we do not have the exact one you are looking for, or are interested in one of his gallery edition canvases, we can get it for you if it is available. Come and see for yourself the incredible detail that Michael is able to achieve in all of his creative and vibrant images. Whether you are a Mopar collector, Ford enthusiast, or GM lover, these amazing automotive themed images are perfect for the home, office, garage, man cave… heck even over the couch. This art is too fine to be relegated to the basement! Make sure to stop by the store to see which prints we currently have on display, and let us help you pick the perfect frame to showcase these remarkable artworks. I know we have been a little MIA on our blog since the start of the new year, we have been busy framing and planning some exciting social media and blog posts that will be coming your way soon! We decided to close for the day to avoid the dangerous drive in the freezing rain, so it seemed like the perfect day to sit down and get blogging! In December we wrapped up our 3-part series on the materials we use in the framing process. 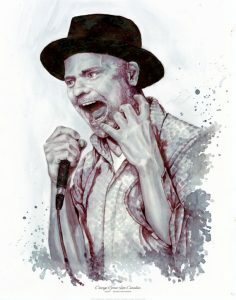 To kick off our blog posts for 2019, we are going to be starting a new series – the first week of each month, we will be posting about a Featured Artist! If you have stopped by the store recently, you will have noticed that we have been busy rearranging a few things and we have brought in a few new pieces for sale! We still have lots of work left to do, but make sure to stop by to see the pieces we have available! I’m off to make another cup of tea, water the plants, and continue our brainstorming session so we can continue bringing you the very best when it comes to picture framing, and ensure we stay on top of our blog posts ! Stay warm today, and if you must venture out, drive carefully… those roads are icy! We would love your help in spreading Christmas Cheer! Every year, hundreds of children in our local area are unable to celebrate Christmas without the community’s help, as their parents are unable to afford clothing, presents &/or food for their families for various reasons. We have decided to help a local school gather unused, unwrapped toys, games, books, clothing, gift cards, & food cards. We would love it if you could help us, help them! From now until December 14th, we will have a donation bin here at the store where you can drop off any items you would like to donate to help out. Please note: items must be new & unwrapped. 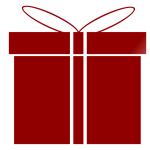 With each item you donate, you will be entered into a draw for a $100.00 Kennedy Picture Framing gift certificate. The winner will be announced December 16th. 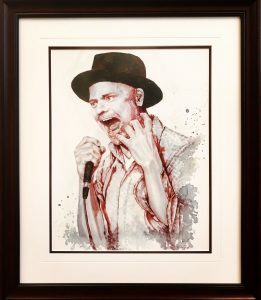 Gord Downie Giclee Print by Melissa Proudlock framed using non-glare glass. ‘Tis the season where our kids head back to school and we enter the busy season as we near Christmas… I know it’s early, but let us help you prepare! Every year we frame thousands of pictures, posters, and jerseys (just to name a few) and we are always up to framing something new! Make sure to check out our social media sites in the coming weeks to see some of the special projects we have completed as of recently! 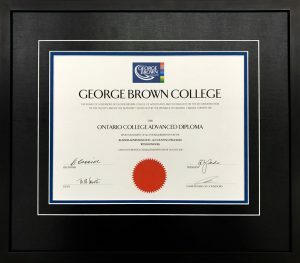 When it comes to planning on having a special keepsake framed, or wondering what materials were utilized to frame your artwork, there is a lot of information to take in. To help answer some question you may have, we would like to share with you the types of materials we use, and the reasons for our material selection. Now to provide such detail regarding all that goes into framing in one blog post would… well… be a lot to read. Thus, I will be addressing this topic over the course of three blog posts, so make sure to check back next month for the latest news on what materials surround your important pieces. For the month of September, we are going to focus on the glass we use at Kennedy Picture Framing. With over 35 years of experience, we are committed to excellence and delivering only the very best work. We also believe that the companies we source from, must also share this same commitment to excellence. Now it is important to note that not every framed piece will necessarily require the same type of glass, and here at Kennedy Picture Framing, we understand the importance of using the proper glass to protect your valuable piece. To learn more about the different glass options we offer, please visit our website, and if you aren’t sure which glass would be best for your framing needs, we are always here to help!